Gurgaon, October 1, 2014: They do not have anywhere to go and at their age, life is no less than a burden in the absence of their loved ones. When they need to be taken care of and look for a hand to hold on to, they are leading an isolated life, their world engulfed in deafening silence in old age homes. 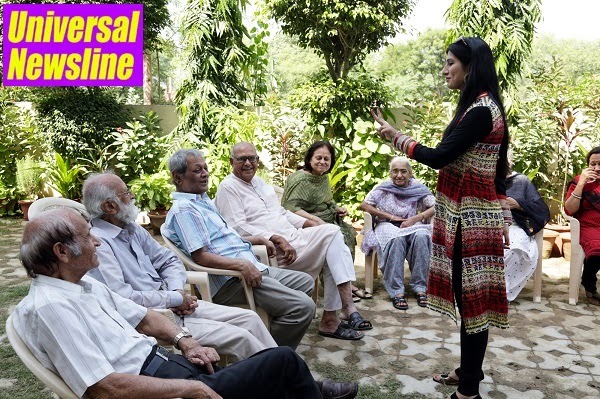 To make them feel cared for and health conscious, Health Care at Home (HCAH), India’s first hi-tech, documented, quality homecare service provider, organized health workshops for the elderly at old-age homes here to mark the World Elderly Day. During the workshops on September 30 and October 1, the healthcare experts of HCAH conducted lectures on nutrition, medication safety, and provided physiotherapy assessment, blood pressure and sugar monitoring to occupants of the old age homes. Basic life support (BLS) training, as per American Heart Association Guidelines, was also provided to them to equip them with skills of managing an emergency wherein they were taught techniques of administering first aid and handling emergencies till help arrives. The homecare service provider have been undertaking such initiatives as part of its Corporate Social Responsibility (CSR) and aims to take up activities which do good to the people and society as a whole. “We are very committed towards CSR and always take up initiatives which are meant to help people at large. Being a healthcare company, to train the elderly at old age homes for BLS seemed to be an opportune thing to do. Just knowing how to give first-aid and handle situations wherein a person suffers a cardiac arrest, gets unconscious or suffer giddiness can help save lives. The initial response in the very few minutes is very critical, so knowledge of BLS is absolutely necessary for the elderly,” said Vivek Srivastava, Chief Executive Officer, HCAH. In the three-hour session each on the two days, interactive simulation dummies were used to provide hands-on training to the elderly and make the whole experience more practical for them. The company also launched today ‘Second Innings Club’ plan under which HCAH aims to become the custodians of health and safety of the elderly. “HCAH will provide care in both situations when the elderly will be healthy or ill as also provide them care at hospital as well as at home, becoming their companion at all times. HCAH will also provide them physical response in emergency conditions like that of theft, fire, a fall at home, or when they have got locked inside home or car or have been feeling uneasy within 15 minutes of intimation about the emergency situation,” said Dr Gaurav Thukral, Head Medical Services, HCAH. The plan could be subscribed at Rs 10,000-20,000 per year and is available on a subscription basis in Delhi-NCR, Jaipur and Chandigarh. The company is offering free subscription for the plan in the month of October. For more enquiries, customer care executives of HCAH can be reached at Toll Free number 1800-102 4224.